My little sensory-seekers love interactive stories. 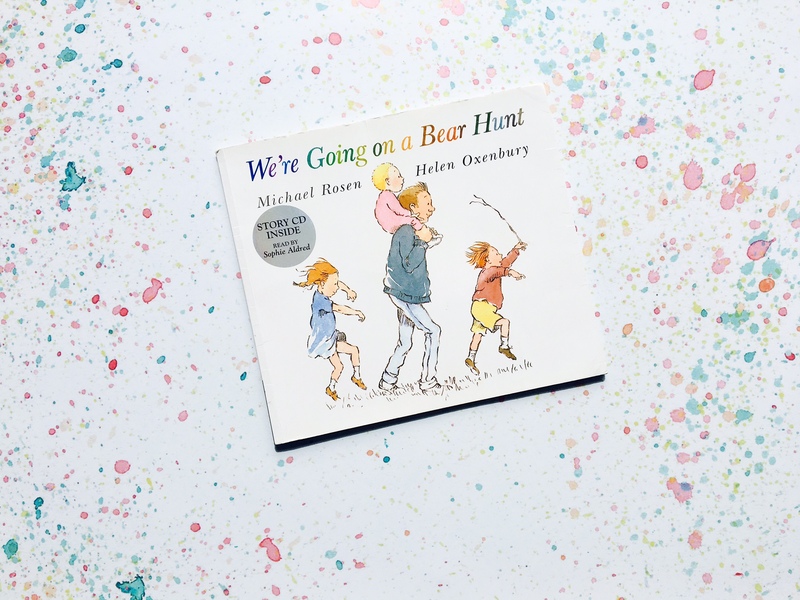 When Big Bear was two years old my mum came over with the We’re Going On A Bear Hunt book and a box she’d filled with sensory props. There were green pom poms to make the ‘swishy swishy’ sound of the grass, blue satin material and a water spray for the ‘splash splash’ of the river, and putty for the ‘squelch squelch’ of the mud. The box also included castanets for the ‘stumble trip’ of the forest, white petals for the snow and a black piece of material to hide under for the cave. And, of course, a teddy bear. Big Bear loved the sensory story, his friends loved it, and we used it for a long time on a weekly and, sometimes, daily basis. The other day, when my friend came round with her three kids, we got the box out again as we realised our little ones haven’t seen it. Once again, the big kids went crazy for it and the little ones enjoyed it too. We read it three times. 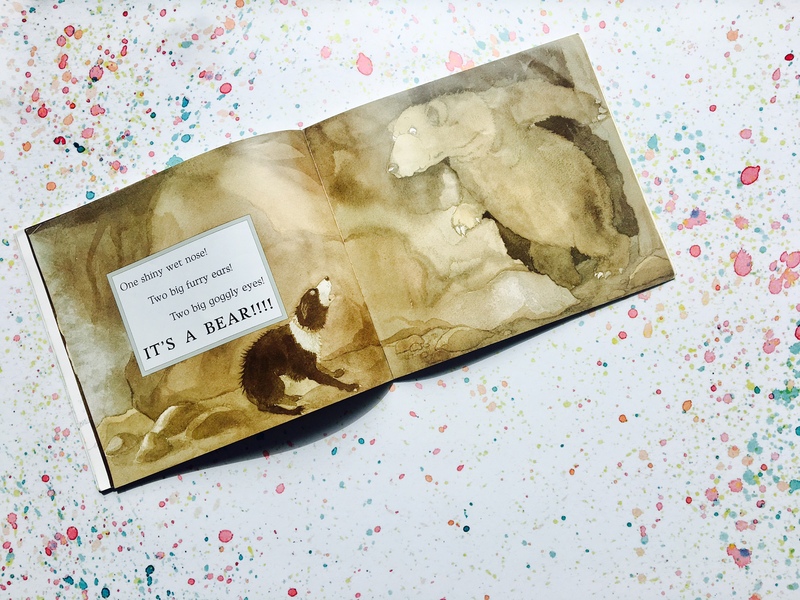 I read it the first time, Big Bear read it aloud the second time and his friend Tillie read it the third time, using all the bits from the box to tell the story. 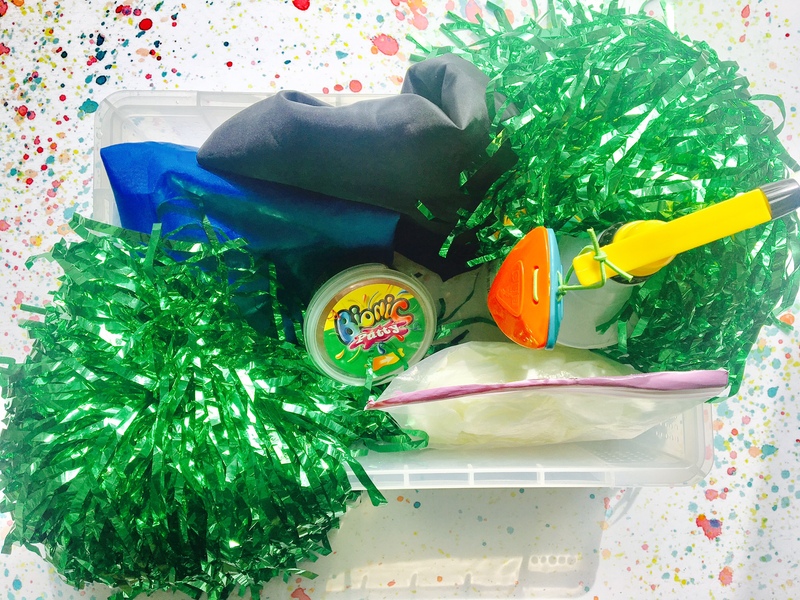 May is National Share-a-Story month so if you fancy having a go at making this sensory story, here’s what to get. You can also substitute some of the items for things you already have. Castanets, a drum or another instrument that you can bang, tap or click. Keep the box in front of you for easy access to all the bits. Read the story and when you get to a bit that requires a prop, take it out of the box, show the child how it works and then pass it to them. If there’s more than one child, encourage them to use the prop and then pass it on. Use hand over hand if the child is unsure what to do. Encourage the child to join in or make their own sounds and movements. Be ready to tell the same story several times. Repetition is important in helping young children to learn. Try and adapt another favourite book into a sensory story. Dear Zoo, Three Little Pigs, and Shark in the Park are three that would be easy to adapt for young children. Looking for more sensory ideas? Sharing is caring! If you enjoyed this post then please share it with your friends.